There's nothing common about Boston! If your next event celebrates the diversity of this historic Massachusetts town, don't engage a town crier, just check out a stack of Boston Flyers. 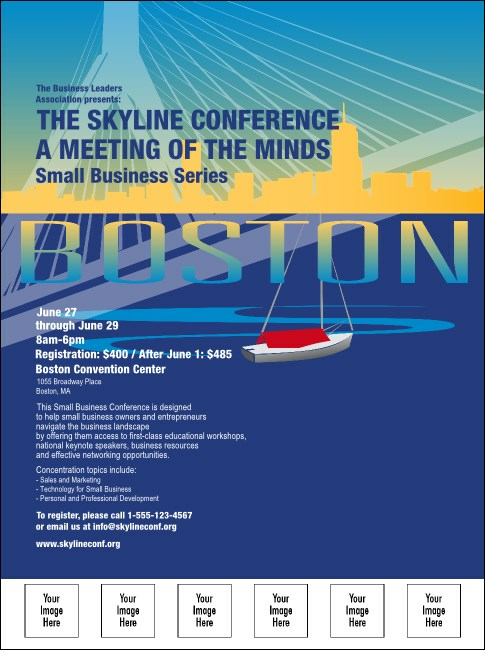 With images of the Boston skyline and space to upload six custom images of speakers or sponsor logos, you'll make a bold announcement. Find Event Kits for all your local printing needs at TicketPrinting.com.